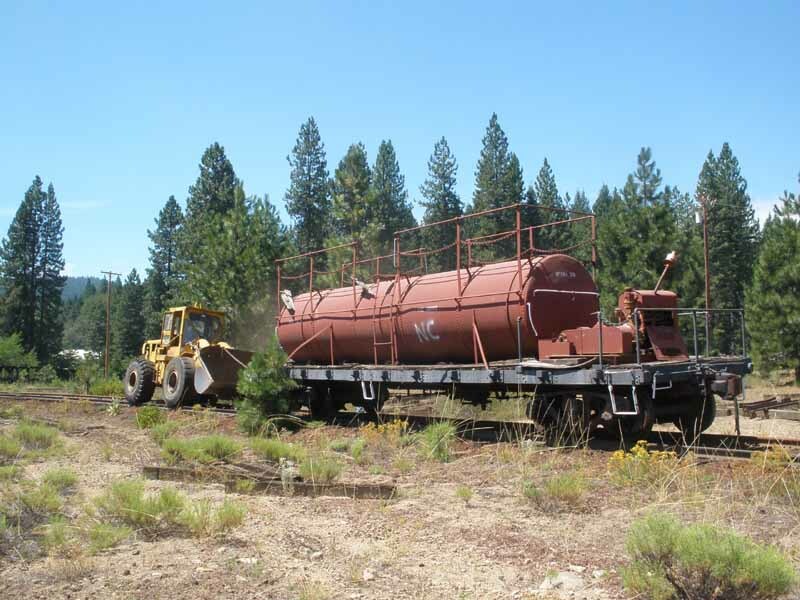 As noted previously elsewhere in this website, the Pacific Locomotive Association launched a fundraising effort in December 2011 to purchase McCloud Railway's fire car #1711 and move it to the Niles Canyon Railway for restoration and operation as part of their steam program. 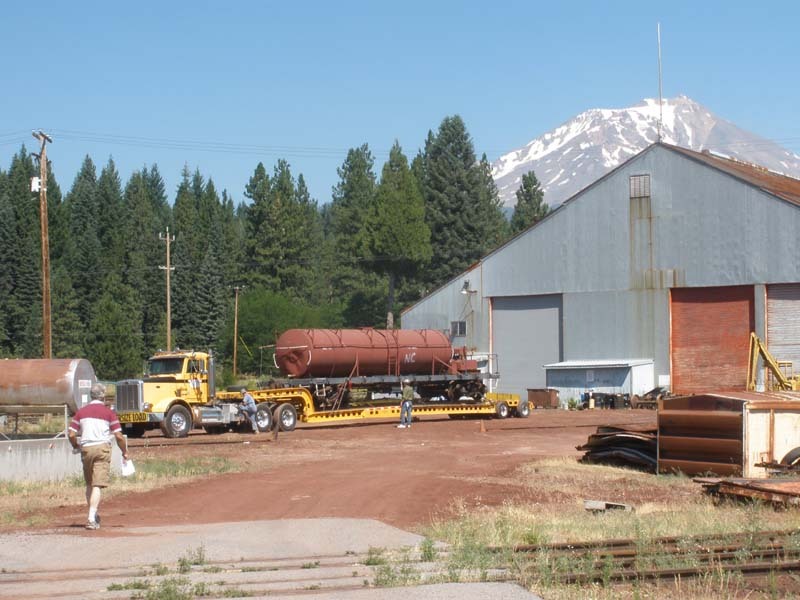 PLA completed purchasing the car by the end of March 2012, and on Thursday and Friday, 9-10 August 2012, a truck and a crew arrived in McCloud to load the fire car up and send it to its new home. 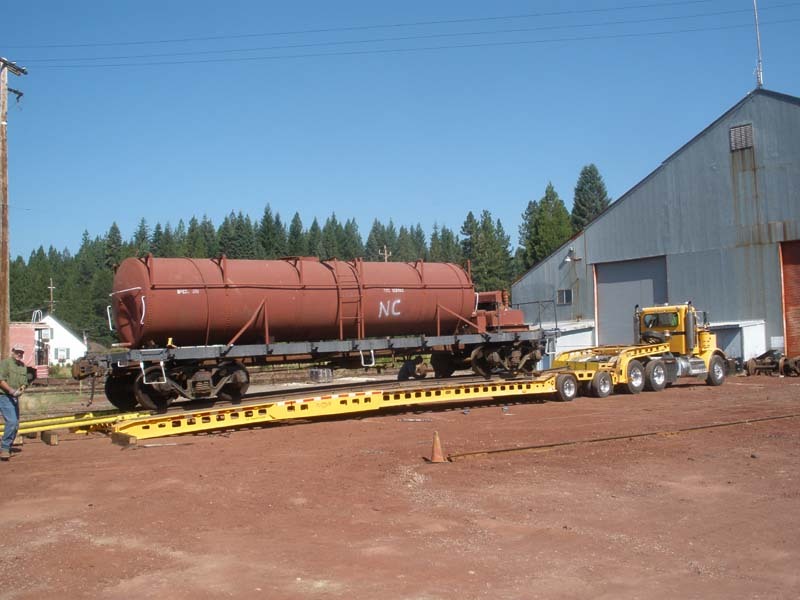 The crew used the railroad's 966 loader to move the car from where it had been stored in the yard to one of the tracks in front of the shop, where the handrails and walkways had to be removed to make the car legal for movement over the highways. Once that job had been completed, the loader pushed the car up onto the truck and the car departed its home of more than six decades. The car arrived in Niles Canyon in fine shape, where the crews unloaded the car onto its new home rails. PLA will now start the restoration process, with intentions to return to the car to its circa 1951 appearance. 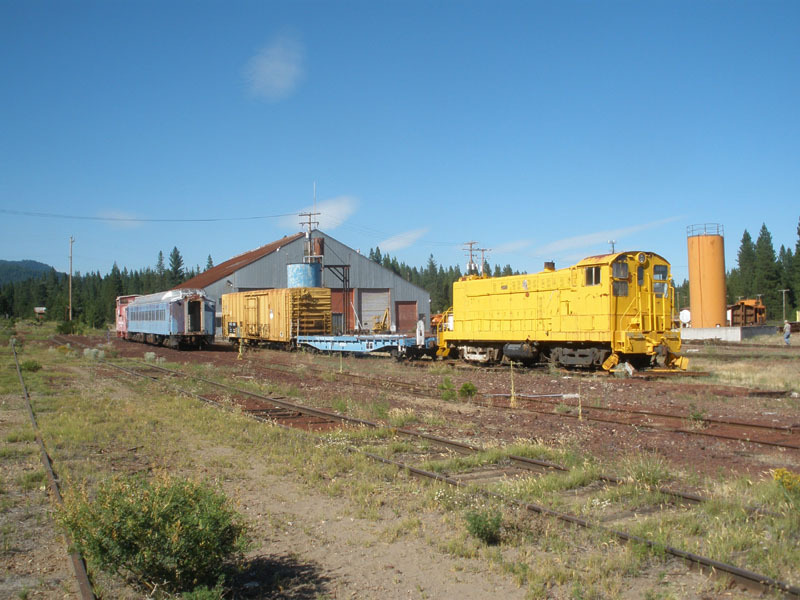 The 966 loader pulling the #1711 out from the track it has rested on since the last photo freights operated in 2008. Alan Siegwarth photo. The 966 loader moving the #1711 through the yard. Alan Siegwarth photo. The #1711 has been spotted in front of the shop for the truck to arrive the following day. Alan Siegwarth photo. 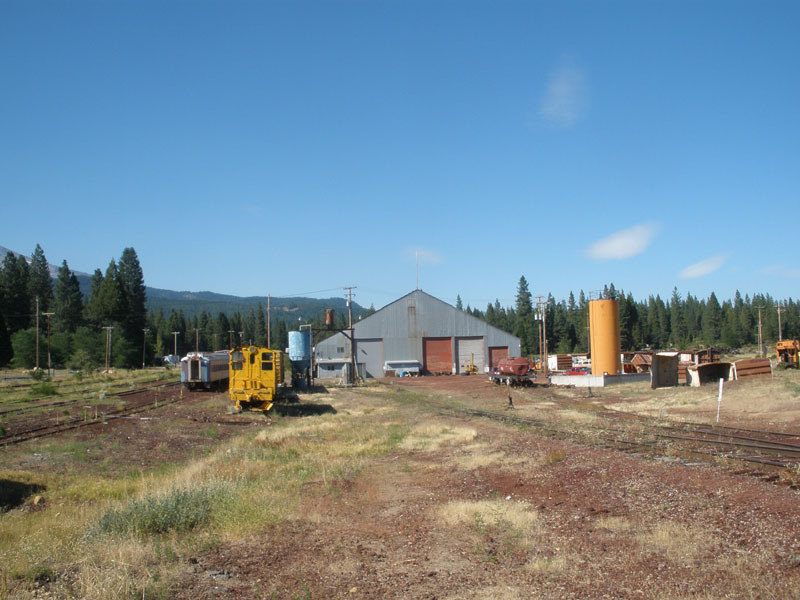 A view of some of the equipment stored in the McCloud yard on the afternoon of 9 August 2012. Alan Siegwarth photo. 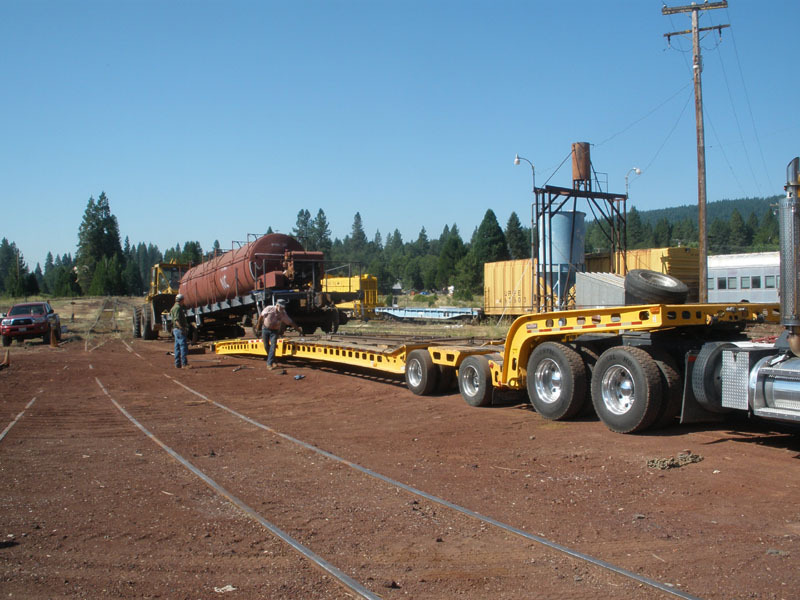 Loading the #1711 on the morning of 10 August 2012. Alan Siegwarth photo. The #1711 has been secured to the truck and will be ready to depart as soon as the truck is ready. Alan Siegwarth photo. 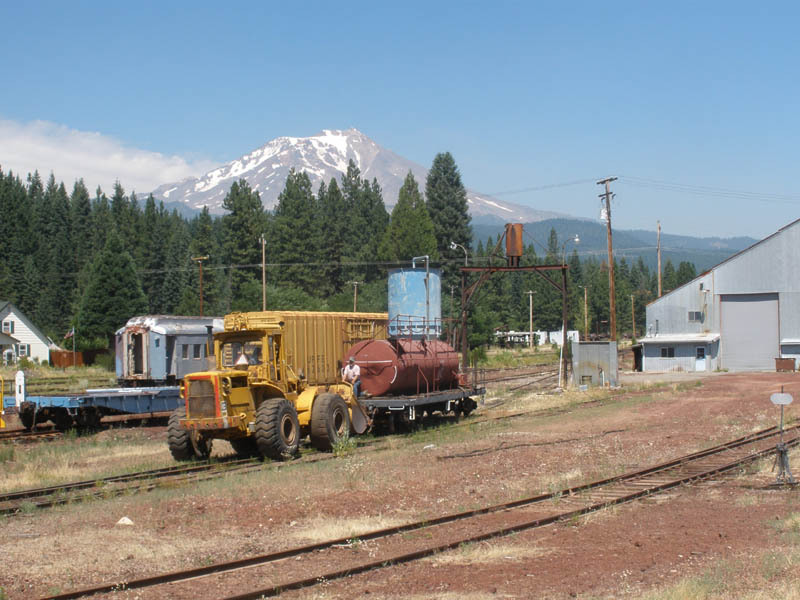 #1711 leaving McCloud. Alan Siegwarth photo. 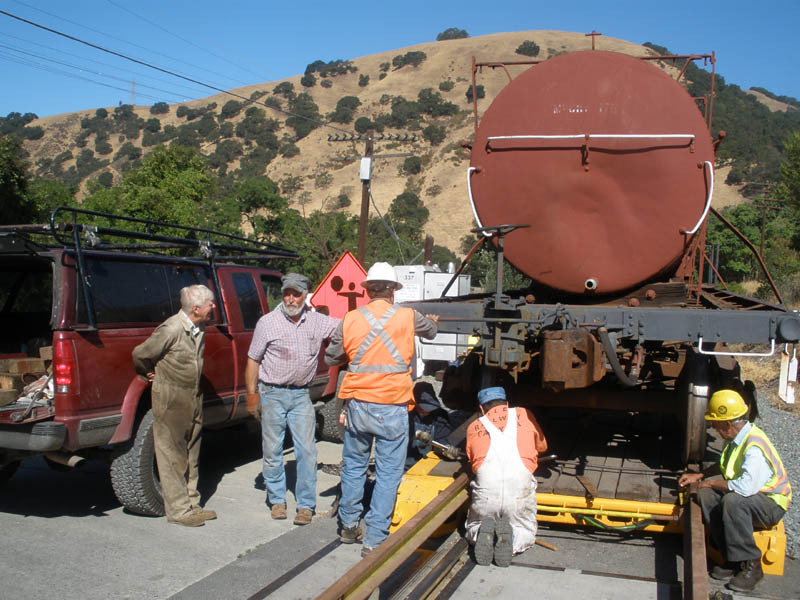 Preparing to unload the #1711 at Niles Canyon Railway. Alan Siegwarth photo. 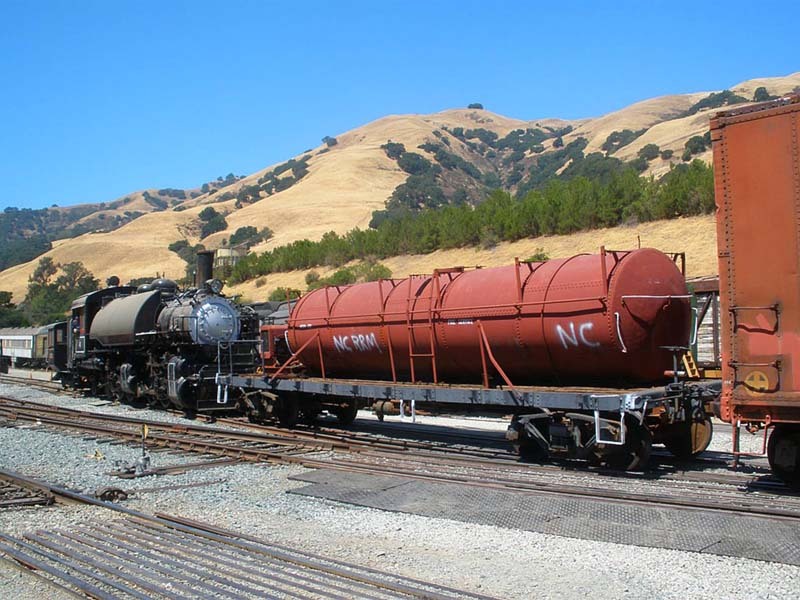 Niles Canyon Railway's Plymouth is pulling ex-Clover Valley Lumber Company #4, the #1711, and some other cars through the yard on the Niles Canyon Railway shortly after the car had been delivered. Martin E. Hansen photo.